This Volkswagen Jetta boasts a Intercooled Turbo Regular Unleaded I-4 1.4 L/85 engine powering this Automatic transmission. Window Grid Diversity Antenna, Wheels: 16 x 6.5J Rama Diamond Alloy (Dual-Tone), Trunk Rear Cargo Access. This Volkswagen Jetta Comes Equipped with These Options Trip Computer, Transmission: 8-Speed Automatic w/Tiptronic, Torsion Beam Rear Suspension w/Coil Springs, Tires: 205/60R16 95H All Season, Strut Front Suspension w/Coil Springs, Steel Spare Wheel, Single Stainless Steel Exhaust, Side Impact Beams, Side Curtain Protection Curtain 1st And 2nd Row Airbags, Seats w/Leatherette Back Material. Stop By Today Test drive this must-see, must-drive, must-own beauty today at Chilliwack Volkswagen, 44615 Yale Rd W, Chilliwack, BC V2R 4H2. Call or email today to schedule a test drive to experience all that this fantastic vehicle has to offer! All vehicles undergo a 112 point Certified Pre-Owned Inspection, full detail, and comes with a full BC Certified CarProof. We love trade-ins, offer in-dealership financing, no payments for up to 6 months (oac), the lowest possible finance rates (oac), and vehicle insurance services in dealership. Our Sales Staff complete vigorous customer experience training and are ready to take care of all your needs and give you the best possible car buying experience in BC. Come see why we are the highest Rated Volkswagen Dealer in BC by DealerRater. All prices are net of all discounts, promotions. All prices are plus $697 admin fee and taxes. This Volkswagen Tiguan delivers a Intercooled Turbo Regular Unleaded I-4 2.0 L/121 engine powering this Automatic transmission. Window Grid And Roof Mount Diversity Antenna, Wheels: 17 Tulsa Alloy, Wheels w/Silver Accents. This Volkswagen Tiguan Comes Equipped with These Options Trip Computer, Transmission: 8-Speed Automatic, Transmission w/Driver Selectable Mode and Tiptronic Sequential Shift Control, Tires: 215/65R17 All-Season, Tailgate/Rear Door Lock Included w/Power Door Locks, Systems Monitor, Strut Front Suspension w/Coil Springs, Streaming Audio, Steel Spare Wheel, Standard Suspension. Stop By Today A short visit to Chilliwack Volkswagen located at 44615 Yale Rd W, Chilliwack, BC V2R 4H2 can get you a tried-and-true Tiguan today! Call or email today to schedule a test drive to experience all that this fantastic vehicle has to offer! All vehicles undergo a 112 point Certified Pre-Owned Inspection, full detail, and comes with a full BC Certified CarProof. We love trade-ins, offer in-dealership financing, no payments for up to 6 months (oac), the lowest possible finance rates (oac), and vehicle insurance services in dealership. Our Sales Staff complete vigorous customer experience training and are ready to take care of all your needs and give you the best possible car buying experience in BC. Come see why we are the highest Rated Volkswagen Dealer in BC by DealerRater. All prices are net of all discounts, promotions. All prices are plus $697 admin fee and taxes. This Volkswagen Golf boasts a Intercooled Turbo Regular Unleaded I-4 1.4 L/85 engine powering this Automatic transmission. Wheels: 16 x 6.5J Dover Alloy, Wheels w/Silver Accents, Valet Function. This Volkswagen Golf Features the Following Options Trip Computer, Transmission: 8-Speed Automatic w/Tiptronic -inc: sport mode, Tires: 205/55R16 91H AS, Tailgate/Rear Door Lock Included w/Power Door Locks, Systems Monitor, Strut Front Suspension w/Coil Springs, Streaming Audio, Steel Spare Wheel, Speed Sensitive Rain Detecting Variable Intermittent Wipers w/Heated Jets, Single Stainless Steel Exhaust. Visit Us Today For a must-own Volkswagen Golf come see us at Chilliwack Volkswagen, 44615 Yale Rd W, Chilliwack, BC V2R 4H2. Just minutes away! Call or email today to schedule a test drive to experience all that this fantastic vehicle has to offer! All vehicles undergo a 112 point Certified Pre-Owned Inspection, full detail, and comes with a full BC Certified CarProof. We love trade-ins, offer in-dealership financing, no payments for up to 6 months (oac), the lowest possible finance rates (oac), and vehicle insurance services in dealership. Our Sales Staff complete vigorous customer experience training and are ready to take care of all your needs and give you the best possible car buying experience in BC. Come see why we are the highest Rated Volkswagen Dealer in BC by DealerRater. All prices are net of all discounts, promotions. All prices are plus $697 admin fee and taxes. This Volkswagen Tiguan delivers a Intercooled Turbo Regular Unleaded I-4 2.0 L/121 engine powering this Automatic transmission. Window Grid And Roof Mount Diversity Antenna, Wheels: 18 Nizza Alloy, Wheels w/Silver Accents. This Volkswagen Tiguan Features the Following Options Trunk/Hatch Auto-Latch, Trip Computer, Transmission: 8-Speed Automatic, Transmission w/Driver Selectable Mode and Tiptronic Sequential Shift Control, Tires: 235/55R18 All-Season, Tailgate/Rear Door Lock Included w/Power Door Locks, Systems Monitor, Strut Front Suspension w/Coil Springs, Streaming Audio, Steel Spare Wheel. Visit Us Today Stop by Chilliwack Volkswagen located at 44615 Yale Rd W, Chilliwack, BC V2R 4H2 for a quick visit and a great vehicle! Call or email today to schedule a test drive to experience all that this fantastic vehicle has to offer! All vehicles undergo a 112 point Certified Pre-Owned Inspection, full detail, and comes with a full BC Certified CarProof. We love trade-ins, offer in-dealership financing, no payments for up to 6 months (oac), the lowest possible finance rates (oac), and vehicle insurance services in dealership. Our Sales Staff complete vigorous customer experience training and are ready to take care of all your needs and give you the best possible car buying experience in BC. Come see why we are the highest Rated Volkswagen Dealer in BC by DealerRater. All prices are net of all discounts, promotions. All prices are plus $697 admin fee and taxes. This Volkswagen Tiguan delivers a Intercooled Turbo Regular Unleaded I-4 2.0 L/121 engine powering this Automatic transmission. Window Grid And Roof Mount Diversity Antenna, Wheels: 17 Montana Alloy, Wheels w/Silver Accents. This Volkswagen Tiguan Comes Equipped with These Options Variable Intermittent Wipers, Urethane Gear Shift Knob, Trip Computer, Transmission: 8-Speed Automatic, Transmission w/Driver Selectable Mode and Tiptronic Sequential Shift Control, Tires: 215/65R17 All-Season, Tailgate/Rear Door Lock Included w/Power Door Locks, Systems Monitor, Strut Front Suspension w/Coil Springs, Steel Spare Wheel. 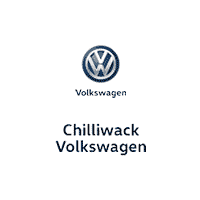 Stop By Today Stop by Chilliwack Volkswagen located at 44615 Yale Rd W, Chilliwack, BC V2R 4H2 for a quick visit and a great vehicle! Call or email today to schedule a test drive to experience all that this fantastic vehicle has to offer! All vehicles undergo a 112 point Certified Pre-Owned Inspection, full detail, and comes with a full BC Certified CarProof. We love trade-ins, offer in-dealership financing, no payments for up to 6 months (oac), the lowest possible finance rates (oac), and vehicle insurance services in dealership. Our Sales Staff complete vigorous customer experience training and are ready to take care of all your needs and give you the best possible car buying experience in BC. Come see why we are the highest Rated Volkswagen Dealer in BC by DealerRater. All prices are net of all discounts, promotions. All prices are plus $697 admin fee and taxes. This Volkswagen Golf boasts a Intercooled Turbo Regular Unleaded I-4 1.4 L/85 engine powering this Automatic transmission. Wheels: 16 x 6.5J Dover Alloy, Wheels w/Silver Accents, Valet Function. This Volkswagen Golf Features the Following Options Trip Computer, Transmission: 8-Speed Automatic w/Tiptronic -inc: sport mode, Tires: 205/55R16 91H AS, Tailgate/Rear Door Lock Included w/Power Door Locks, Systems Monitor, Strut Front Suspension w/Coil Springs, Streaming Audio, Steel Spare Wheel, Speed Sensitive Rain Detecting Variable Intermittent Wipers w/Heated Jets, Single Stainless Steel Exhaust. Stop By Today Test drive this must-see, must-drive, must-own beauty today at Chilliwack Volkswagen, 44615 Yale Rd W, Chilliwack, BC V2R 4H2. Call or email today to schedule a test drive to experience all that this fantastic vehicle has to offer! All vehicles undergo a 112 point Certified Pre-Owned Inspection, full detail, and comes with a full BC Certified CarProof. We love trade-ins, offer in-dealership financing, no payments for up to 6 months (oac), the lowest possible finance rates (oac), and vehicle insurance services in dealership. Our Sales Staff complete vigorous customer experience training and are ready to take care of all your needs and give you the best possible car buying experience in BC. Come see why we are the highest Rated Volkswagen Dealer in BC by DealerRater. All prices are net of all discounts, promotions. All prices are plus $697 admin fee and taxes. This Volkswagen Golf boasts a Intercooled Turbo Regular Unleaded I-4 1.4 L/85 engine powering this Automatic transmission. Wheels: 17 x 7J Karlskoga Alloy, Wheels w/Silver Accents, Valet Function. This Volkswagen Golf Features the Following Options Trip Computer, Transmission: 8-Speed Automatic w/Tiptronic -inc: sport mode, Tires: 225/45R17 91H AS, Tailgate/Rear Door Lock Included w/Power Door Locks, Systems Monitor, Strut Front Suspension w/Coil Springs, Streaming Audio, Steel Spare Wheel, Speed Sensitive Rain Detecting Variable Intermittent Wipers w/Heated Jets, Single Stainless Steel Exhaust. Visit Us Today Stop by Chilliwack Volkswagen located at 44615 Yale Rd W, Chilliwack, BC V2R 4H2 for a quick visit and a great vehicle! Call or email today to schedule a test drive to experience all that this fantastic vehicle has to offer! All vehicles undergo a 112 point Certified Pre-Owned Inspection, full detail, and comes with a full BC Certified CarProof. We love trade-ins, offer in-dealership financing, no payments for up to 6 months (oac), the lowest possible finance rates (oac), and vehicle insurance services in dealership. Our Sales Staff complete vigorous customer experience training and are ready to take care of all your needs and give you the best possible car buying experience in BC. Come see why we are the highest Rated Volkswagen Dealer in BC by DealerRater. All prices are net of all discounts, promotions. All prices are plus $697 admin fee and taxes. This Volkswagen Tiguan boasts a Intercooled Turbo Regular Unleaded I-4 2.0 L/121 engine powering this Automatic transmission. Window Grid And Roof Mount Diversity Antenna, Wheels: 18 Nizza Alloy, Wheels w/Silver Accents. This Volkswagen Tiguan Features the Following Options Trunk/Hatch Auto-Latch, Trip Computer, Transmission: 8-Speed Automatic, Transmission w/Driver Selectable Mode and Tiptronic Sequential Shift Control, Tires: 235/55R18 All-Season, Tailgate/Rear Door Lock Included w/Power Door Locks, Systems Monitor, Strut Front Suspension w/Coil Springs, Streaming Audio, Steel Spare Wheel. Stop By Today Test drive this must-see, must-drive, must-own beauty today at Chilliwack Volkswagen, 44615 Yale Rd W, Chilliwack, BC V2R 4H2. Call or email today to schedule a test drive to experience all that this fantastic vehicle has to offer! All vehicles undergo a 112 point Certified Pre-Owned Inspection, full detail, and comes with a full BC Certified CarProof. We love trade-ins, offer in-dealership financing, no payments for up to 6 months (oac), the lowest possible finance rates (oac), and vehicle insurance services in dealership. Our Sales Staff complete vigorous customer experience training and are ready to take care of all your needs and give you the best possible car buying experience in BC. Come see why we are the highest Rated Volkswagen Dealer in BC by DealerRater. All prices are net of all discounts, promotions. All prices are plus $697 admin fee and taxes. This Volkswagen Jetta delivers a Intercooled Turbo Regular Unleaded I-4 1.4 L/85 engine powering this Automatic transmission. Window Grid Diversity Antenna, Wheels: 17 x 7J Tornado Diamond Alloy, Trunk Rear Cargo Access. This Volkswagen Jetta Features the Following Options Trip Computer, Transmission: 8-Speed Automatic w/Tiptronic -inc: Remote Start, Torsion Beam Rear Suspension w/Coil Springs, Tires: 205/55R17 All Season, Strut Front Suspension w/Coil Springs, Steel Spare Wheel, Single Stainless Steel Exhaust, Side Impact Beams, Side Curtain Protection Curtain 1st And 2nd Row Airbags, Seats w/Leatherette Back Material. Visit Us Today A short visit to Chilliwack Volkswagen located at 44615 Yale Rd W, Chilliwack, BC V2R 4H2 can get you a dependable Jetta today! Call or email today to schedule a test drive to experience all that this fantastic vehicle has to offer! All vehicles undergo a 112 point Certified Pre-Owned Inspection, full detail, and comes with a full BC Certified CarProof. We love trade-ins, offer in-dealership financing, no payments for up to 6 months (oac), the lowest possible finance rates (oac), and vehicle insurance services in dealership. Our Sales Staff complete vigorous customer experience training and are ready to take care of all your needs and give you the best possible car buying experience in BC. Come see why we are the highest Rated Volkswagen Dealer in BC by DealerRater. All prices are net of all discounts, promotions. All prices are plus $697 admin fee and taxes. This Volkswagen Golf GTI boasts a Intercooled Turbo Premium Unleaded I-4 2.0 L/121 engine powering this Automatic transmission. Wheels: 7.5J x 18 Milton Alloy, Wheels w/Machined w/Painted Accents Accents, Valet Function. This Volkswagen Golf GTI Features the Following Options Trip Computer, Transmission: 7-Speed DSG Automatic w/Tiptronic, Tires: P225/40R18 92H AS, Tailgate/Rear Door Lock Included w/Power Door Locks, Systems Monitor, Strut Front Suspension w/Coil Springs, Steel Spare Wheel, Sport Tuned Suspension, Sport Leather Steering Wheel, Speed Sensitive Rain Detecting Variable Intermittent Wipers w/Heated Jets. Visit Us Today Treat yourself- stop by Chilliwack Volkswagen located at 44615 Yale Rd W, Chilliwack, BC V2R 4H2 to make this car yours today! Call or email today to schedule a test drive to experience all that this fantastic vehicle has to offer! All vehicles undergo a 112 point Certified Pre-Owned Inspection, full detail, and comes with a full BC Certified CarProof. We love trade-ins, offer in-dealership financing, no payments for up to 6 months (oac), the lowest possible finance rates (oac), and vehicle insurance services in dealership. Our Sales Staff complete vigorous customer experience training and are ready to take care of all your needs and give you the best possible car buying experience in BC. Come see why we are the highest Rated Volkswagen Dealer in BC by DealerRater. All prices are net of all discounts, promotions. All prices are plus $697 admin fee and taxes. This Volkswagen Beetle delivers a Intercooled Turbo Regular Unleaded I-4 2.0 L/121 engine powering this Automatic transmission. Window Grid And Roof Mount Diversity Antenna, Wheels: 8J x 18 Canyon Alloy, Wheels w/Machined w/Painted Accents Accents. This Volkswagen Beetle Features the Following Options Trip Computer, Transmission: 6-Speed Automatic w/Tiptronic, Tires: P235/45R18 AS, Tailgate/Rear Door Lock Included w/Power Door Locks, Systems Monitor, Strut Front Suspension w/Coil Springs, Streaming Audio, Steel Spare Wheel, Sport Front Seats w/Leatherette Back Material, Single Stainless Steel Exhaust. Visit Us Today You've earned this- stop by Chilliwack Volkswagen located at 44615 Yale Rd W, Chilliwack, BC V2R 4H2 to make this car yours today! Call or email today to schedule a test drive to experience all that this fantastic vehicle has to offer! All vehicles undergo a 112 point Certified Pre-Owned Inspection, full detail, and comes with a full BC Certified CarProof. We love trade-ins, offer in-dealership financing, no payments for up to 6 months (oac), the lowest possible finance rates (oac), and vehicle insurance services in dealership. Our Sales Staff complete vigorous customer experience training and are ready to take care of all your needs and give you the best possible car buying experience in BC. Come see why we are the highest Rated Volkswagen Dealer in BC by DealerRater. All prices are net of all discounts, promotions. All prices are plus $697 admin fee and taxes. This Volkswagen Atlas delivers a Regular Unleaded V-6 3.6 L/220 engine powering this Automatic transmission. Window Grid Antenna, Wheels: 18 Prisma Alloy, Vw Car-Net Selective Service Internet Access. This Volkswagen Atlas Comes Equipped with These Options Vienna Perforated Leather Seating Surfaces, Valet Function, Trunk/Hatch Auto-Latch, Trip Computer, Transmission: 8-Speed Automatic w/Tiptronic -inc: eco mode, Transmission w/Driver Selectable Mode, Tires: 245/60R18 105T All-Season, Tailgate/Rear Door Lock Included w/Power Door Locks, Systems Monitor, Strut Front Suspension w/Coil Springs. Stop By Today Treat yourself- stop by Chilliwack Volkswagen located at 44615 Yale Rd W, Chilliwack, BC V2R 4H2 to make this car yours today! Call or email today to schedule a test drive to experience all that this fantastic vehicle has to offer! All vehicles undergo a 112 point Certified Pre-Owned Inspection, full detail, and comes with a full BC Certified CarProof. We love trade-ins, offer in-dealership financing, no payments for up to 6 months (oac), the lowest possible finance rates (oac), and vehicle insurance services in dealership. Our Sales Staff complete vigorous customer experience training and are ready to take care of all your needs and give you the best possible car buying experience in BC. Come see why we are the highest Rated Volkswagen Dealer in BC by DealerRater. All prices are net of all discounts, promotions. All prices are plus $697 admin fee and taxes. This Volkswagen Atlas delivers a Regular Unleaded V-6 3.6 L/220 engine powering this Automatic transmission. Window Grid Antenna, Wheels: 18 Prisma Alloy, Vw Car-Net Selective Service Internet Access. This Volkswagen Atlas Comes Equipped with These Options Vienna Perforated Leather Seating Surfaces, Valet Function, Trunk/Hatch Auto-Latch, Trip Computer, Transmission: 8-Speed Automatic w/Tiptronic -inc: eco mode, Transmission w/Driver Selectable Mode, Tires: 245/60R18 105T All-Season, Tailgate/Rear Door Lock Included w/Power Door Locks, Systems Monitor, Strut Front Suspension w/Coil Springs. Stop By Today For a must-own Volkswagen Atlas come see us at Chilliwack Volkswagen, 44615 Yale Rd W, Chilliwack, BC V2R 4H2. Just minutes away! Call or email today to schedule a test drive to experience all that this fantastic vehicle has to offer! All vehicles undergo a 112 point Certified Pre-Owned Inspection, full detail, and comes with a full BC Certified CarProof. We love trade-ins, offer in-dealership financing, no payments for up to 6 months (oac), the lowest possible finance rates (oac), and vehicle insurance services in dealership. Our Sales Staff complete vigorous customer experience training and are ready to take care of all your needs and give you the best possible car buying experience in BC. Come see why we are the highest Rated Volkswagen Dealer in BC by DealerRater. All prices are net of all discounts, promotions. All prices are plus $697 admin fee and taxes. This Volkswagen Beetle boasts a Intercooled Turbo Regular Unleaded I-4 2.0 L/121 engine powering this Automatic transmission. Window Grid And Roof Mount Diversity Antenna, Wheels: 8J x 18 Canyon Alloy, Wheels w/Machined w/Painted Accents Accents. This Volkswagen Beetle Features the Following Options Trip Computer, Transmission: 6-Speed Automatic w/Tiptronic, Tires: P235/45R18 AS, Tailgate/Rear Door Lock Included w/Power Door Locks, Systems Monitor, Strut Front Suspension w/Coil Springs, Streaming Audio, Steel Spare Wheel, Sport Front Seats w/Leatherette Back Material, Single Stainless Steel Exhaust. Stop By Today Come in for a quick visit at Chilliwack Volkswagen, 44615 Yale Rd W, Chilliwack, BC V2R 4H2 to claim your Volkswagen Beetle! Call or email today to schedule a test drive to experience all that this fantastic vehicle has to offer! All vehicles undergo a 112 point Certified Pre-Owned Inspection, full detail, and comes with a full BC Certified CarProof. We love trade-ins, offer in-dealership financing, no payments for up to 6 months (oac), the lowest possible finance rates (oac), and vehicle insurance services in dealership. Our Sales Staff complete vigorous customer experience training and are ready to take care of all your needs and give you the best possible car buying experience in BC. Come see why we are the highest Rated Volkswagen Dealer in BC by DealerRater. All prices are net of all discounts, promotions. All prices are plus $697 admin fee and taxes. This Volkswagen Golf R delivers a Intercooled Turbo Premium Unleaded I-4 2.0 L/121 engine powering this Automatic transmission. Wheels: 19 Pretoria Alloy, Wheels w/Silver Accents, Vienna Leather Seating Surfaces. This Volkswagen Golf R Comes Equipped with These Options Valet Function, Trip Computer, Transmission: 7-Speed DSG Automatic w/Tiptronic, Tires: P235/35R19 Summer Performance, Tailgate/Rear Door Lock Included w/Power Door Locks, Systems Monitor, Strut Front Suspension w/Coil Springs, Sport Leather/Piano Black Steering Wheel, Speed Sensitive Rain Detecting Variable Intermittent Wipers w/Heated Jets, Spare Tire Mobility Kit. Stop By Today A short visit to Chilliwack Volkswagen located at 44615 Yale Rd W, Chilliwack, BC V2R 4H2 can get you a reliable Golf R today! Call or email today to schedule a test drive to experience all that this fantastic vehicle has to offer! All vehicles undergo a 112 point Certified Pre-Owned Inspection, full detail, and comes with a full BC Certified CarProof. We love trade-ins, offer in-dealership financing, no payments for up to 6 months (oac), the lowest possible finance rates (oac), and vehicle insurance services in dealership. Our Sales Staff complete vigorous customer experience training and are ready to take care of all your needs and give you the best possible car buying experience in BC. Come see why we are the highest Rated Volkswagen Dealer in BC by DealerRater. All prices are net of all discounts, promotions. All prices are plus $697 admin fee and taxes. This Volkswagen Tiguan delivers a Intercooled Turbo Regular Unleaded I-4 2.0 L/121 engine powering this Automatic transmission. Window Grid And Roof Mount Diversity Antenna, Wheels: 17 Tulsa Alloy, Wheels w/Silver Accents. This Volkswagen Tiguan Comes Equipped with These Options Trip Computer, Transmission: 8-Speed Automatic, Transmission w/Driver Selectable Mode and Tiptronic Sequential Shift Control, Tires: 215/65R17 All-Season, Tailgate/Rear Door Lock Included w/Power Door Locks, Systems Monitor, Strut Front Suspension w/Coil Springs, Streaming Audio, Steel Spare Wheel, Standard Suspension. Stop By Today Stop by Chilliwack Volkswagen located at 44615 Yale Rd W, Chilliwack, BC V2R 4H2 for a quick visit and a great vehicle! Call or email today to schedule a test drive to experience all that this fantastic vehicle has to offer! All vehicles undergo a 112 point Certified Pre-Owned Inspection, full detail, and comes with a full BC Certified CarProof. We love trade-ins, offer in-dealership financing, no payments for up to 6 months (oac), the lowest possible finance rates (oac), and vehicle insurance services in dealership. Our Sales Staff complete vigorous customer experience training and are ready to take care of all your needs and give you the best possible car buying experience in BC. Come see why we are the highest Rated Volkswagen Dealer in BC by DealerRater. All prices are net of all discounts, promotions. All prices are plus $697 admin fee and taxes. This Volkswagen Golf boasts a Intercooled Turbo Regular Unleaded I-4 1.4 L/85 engine powering this Manual transmission. Wheels: 15 x 6 Lyon Alloy, Wheels w/Silver Accents, Valet Function. This Volkswagen Golf Comes Equipped with These Options Trip Computer, Transmission: 6-Speed Manual, Tires: 195/65R15 91H AS, Tailgate/Rear Door Lock Included w/Power Door Locks, Systems Monitor, Strut Front Suspension w/Coil Springs, Streaming Audio, Steel Spare Wheel, Speed Sensitive Rain Detecting Variable Intermittent Wipers w/Heated Jets, Single Stainless Steel Exhaust. Visit Us Today Come in for a quick visit at Chilliwack Volkswagen, 44615 Yale Rd W, Chilliwack, BC V2R 4H2 to claim your Volkswagen Golf! Call or email today to schedule a test drive to experience all that this fantastic vehicle has to offer! All vehicles undergo a 112 point Certified Pre-Owned Inspection, full detail, and comes with a full BC Certified CarProof. We love trade-ins, offer in-dealership financing, no payments for up to 6 months (oac), the lowest possible finance rates (oac), and vehicle insurance services in dealership. Our Sales Staff complete vigorous customer experience training and are ready to take care of all your needs and give you the best possible car buying experience in BC. Come see why we are the highest Rated Volkswagen Dealer in BC by DealerRater. All prices are net of all discounts, promotions. All prices are plus $697 admin fee and taxes. This Volkswagen Golf delivers a Intercooled Turbo Regular Unleaded I-4 1.4 L/85 engine powering this Automatic transmission. Wheels: 16 x 6.5J Dover Alloy, Wheels w/Silver Accents, Valet Function. This Volkswagen Golf Features the Following Options Trip Computer, Transmission: 8-Speed Automatic w/Tiptronic -inc: sport mode, Tires: 205/55R16 91H AS, Tailgate/Rear Door Lock Included w/Power Door Locks, Systems Monitor, Strut Front Suspension w/Coil Springs, Streaming Audio, Steel Spare Wheel, Speed Sensitive Rain Detecting Variable Intermittent Wipers w/Heated Jets, Single Stainless Steel Exhaust. Visit Us Today A short visit to Chilliwack Volkswagen located at 44615 Yale Rd W, Chilliwack, BC V2R 4H2 can get you a tried-and-true Golf today! Call or email today to schedule a test drive to experience all that this fantastic vehicle has to offer! All vehicles undergo a 112 point Certified Pre-Owned Inspection, full detail, and comes with a full BC Certified CarProof. We love trade-ins, offer in-dealership financing, no payments for up to 6 months (oac), the lowest possible finance rates (oac), and vehicle insurance services in dealership. Our Sales Staff complete vigorous customer experience training and are ready to take care of all your needs and give you the best possible car buying experience in BC. Come see why we are the highest Rated Volkswagen Dealer in BC by DealerRater. All prices are net of all discounts, promotions. All prices are plus $697 admin fee and taxes. This Volkswagen Golf boasts a Intercooled Turbo Regular Unleaded I-4 1.4 L/85 engine powering this Automatic transmission. Wheels: 16 x 6.5J Dover Alloy, Wheels w/Silver Accents, Valet Function. This Volkswagen Golf Comes Equipped with These Options Trip Computer, Transmission: 8-Speed Automatic w/Tiptronic -inc: sport mode, Tires: 205/55R16 91H AS, Tailgate/Rear Door Lock Included w/Power Door Locks, Systems Monitor, Strut Front Suspension w/Coil Springs, Streaming Audio, Steel Spare Wheel, Speed Sensitive Rain Detecting Variable Intermittent Wipers w/Heated Jets, Single Stainless Steel Exhaust. Visit Us Today Come in for a quick visit at Chilliwack Volkswagen, 44615 Yale Rd W, Chilliwack, BC V2R 4H2 to claim your Volkswagen Golf! Call or email today to schedule a test drive to experience all that this fantastic vehicle has to offer! All vehicles undergo a 112 point Certified Pre-Owned Inspection, full detail, and comes with a full BC Certified CarProof. We love trade-ins, offer in-dealership financing, no payments for up to 6 months (oac), the lowest possible finance rates (oac), and vehicle insurance services in dealership. Our Sales Staff complete vigorous customer experience training and are ready to take care of all your needs and give you the best possible car buying experience in BC. Come see why we are the highest Rated Volkswagen Dealer in BC by DealerRater. All prices are net of all discounts, promotions. All prices are plus $697 admin fee and taxes.